The opening weekend of high school football forced long-lightening delays and a game that never ended. 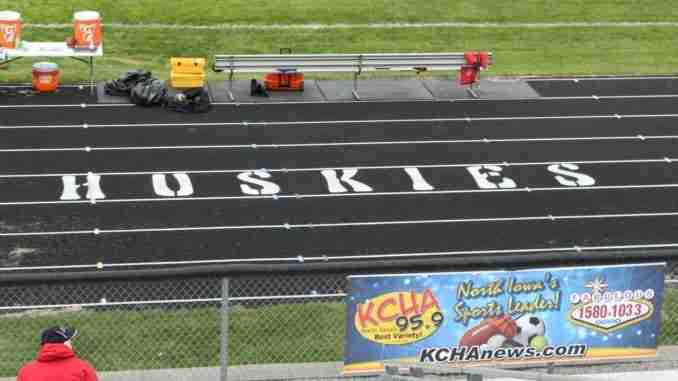 In the Fab Oldies 1580 and 103.3 Game of the Week, North Butler is 1-0 on the season after downing Nashua-Plainfield 20-0. Lightening suspended the game with 29 seconds left in the first half. North Butler lead 7-0 off of a Pacen Hendricks 38-yard touchdown run. The game resumed Saturday at 5 and Kane Allison capped a six play 12 yard drive with a 1 yard touchdown run. Hendricks scored his second rushing touchdown of of the game late in the fourth quarter. Husky quarterback Michael Stille completed 10 of 28 passing for 90 yards and Rhett Lammers snatched two interception for the Bearcats. North Butler hosts Central Springs and Nashua Plainfield hosts Belmond Klemme. Erik Hoefer withe the call. Marcus Cranshaw ran for 13 yards and the lone Comet score. Elliot Sinwell and De’Ontaye Hoefer both came away with interceptions. Cadet quarterback Jon Henry threw three of seven for 30 yards and the Cadets ran for 99 yards. The Comets host New Hampton on Friday. The Rockford Warriors gained nearly 300 yards on the ground enroute to a 74-18 thumping of West Central on Friday night. Quarterback Jacob Staudt rushed for 135 yards with five scores on 13 carries, Kaden Lyman added three scores, 121 yards on 12 attempts. Dillon Schriever added a rushing touchdown. The warriors host Kee High on Friday. The Saint Ansgar Saints powered their way to a 53-21 win over West Fork gashing their defense for 310 yards. Ethan Kirchgatter and Jack Sievert combined for five of the six rushing touchdowns. Kirchgatter carried the ball 10 times for 130 yards, Jack Sievert used 18 carries to reach the century mark. The Saints host the Osage Green Devils Friday.